O’Donnellan & Joyce has recently been shortlisted for the 2018 Irish Independent Property Industry Excellence Awards in the category of Regional Excellence. This is the fourth time the Galway company has been shortlisted in these prestigious awards. The Irish Independent Property Industry Excellence Awards recognise the highest standards of professionalism and excellence across the entire property sector and provide an opportunity for the Irish property industry and all of its stakeholders to showcase their expertise and standards globally. O’Donnellan & Joyce is a pioneer of the regional all-day Wild Atlantic Way series of property auctions. With the competition for these awards being extremely high, the nominees are a strong mix of industry players. O’Donnellan & Joyce was selected from among more than 90 entrants nationally following a rigorous adjudication by a high profile national judging panel chaired by Professor Brian Norton, president of Dublin Institute of Technology. Established in 1982 in Galway by Colm O’Donnellan and Tony Joyce, O’Donnellan & Joyce is renowned for building a likeminded team of highly motivated property agents and auctioneers who deliver a high quality and professional property service. Boasting an in-depth knowledge of the property market in Galway and the west of Ireland, the Wild Atlantic Way auction division has grown extensively alongside the private treaty sales division since January 2014, when O’Donnellan & Joyce was the first regional auctioneer to hold all-day property auctions outside Dublin. Since its foundation, O’Donnellan & Joyce has built a loyal client base in Galway, the west of Ireland, and in more recent years nationally. Recognised for the service and support the company offers to clients, both new and existing, through expert knowledge, balanced view, and realistic approach to valuations, the demand for its auction service has grown steadily from Donegal to Kerry all along the Wild Atlantic Way. The advancement of technology, and in particular live streaming of the Wild Atlantic Way auctions, has led to a growing international client base. O’Donnellan & Joyce generated a staggering €60 million in auction property sales in 2017. The increased profile and national media recognition of O’Donnellan & Joyce has positioned the company as a national and regional commentator in the property sector. The awards programme has been established as a partnership of all property industry stakeholders and is endorsed by all professional bodies and representative groups including KPMG, Pinergy, and Eugene F Collins. 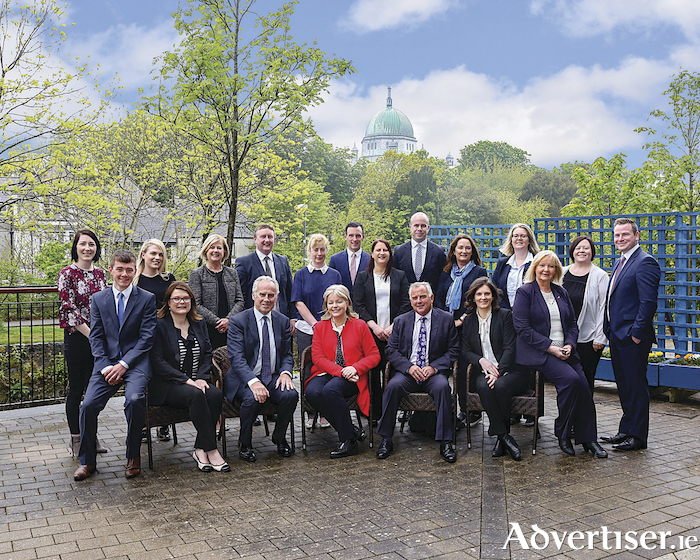 Ten categories are judged, including Commercial Agency of the Year, Property Entrepreneur of the Year, and Regional Agency of the Year, the category in which O’Donnellan & Joyce is being judged. The winners of each category will be announced at an awards ceremony and gala dinner at the National Convention Centre, Dublin, this evening, November 8. The final Wild Atlantic Way property auction of 2018 is Friday on December 14. Register your interest to include your property in the auction by Friday November 16. Contact Colm O’Donnellan or the auction team at O’Donnellan & Joyce on 091 564 212.